Redmi Note 5 Pro Oreo Update Roll Out 2018 - Thing You Should Know :- so hello guys here i will be sharing with you the latest details of Redmi Note 5 Pro Update which might be you are waiting for so. So finally after a long wait Xiaomi Announced to launch It's Oreo Updates for Redmi Note 5 Pro. 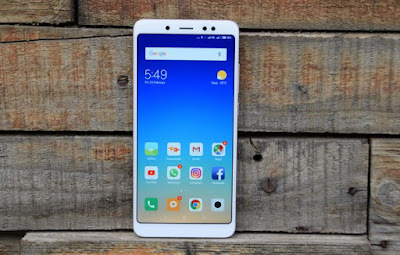 So here i will be sharing with you about what all features you will get in oreo updates and how to update Redmi Note 5 Pro To Android Oreo Miui 9.5. How To Updates Redmi Note 5 Pro? Xiaomi Announced to launch Oreo for Redmi Note 5 Pro this update will be starting from 29th June 2018 and now come to the point how to get oreo updates in Redmi Note 5 pro so you just have to do on thing . Just go to phone setting and then go to software update and check out you will get OTA updates of Redmi Note 5 Pro which you are looking for. Redmi Note 5 Pro Update Changes ? So Now after getting this updates you will see features which can come to enhance the smartphone . And Many More we will update you once we receive the same update.